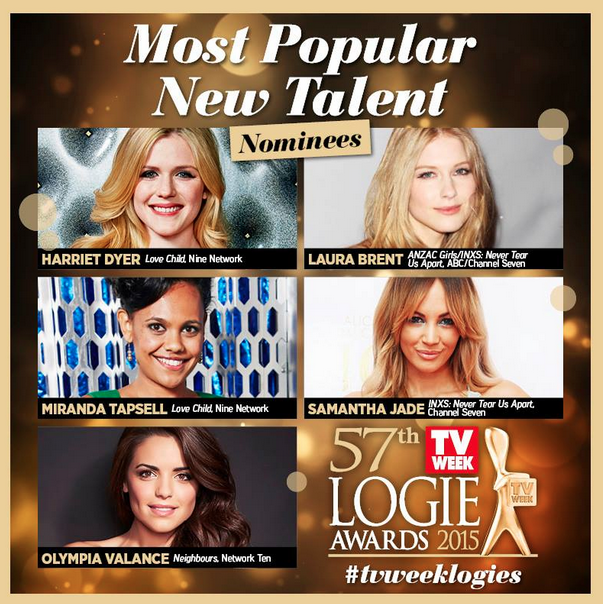 Australian television fans rejoice… because the 2015 Logie Award nominations have been announced. 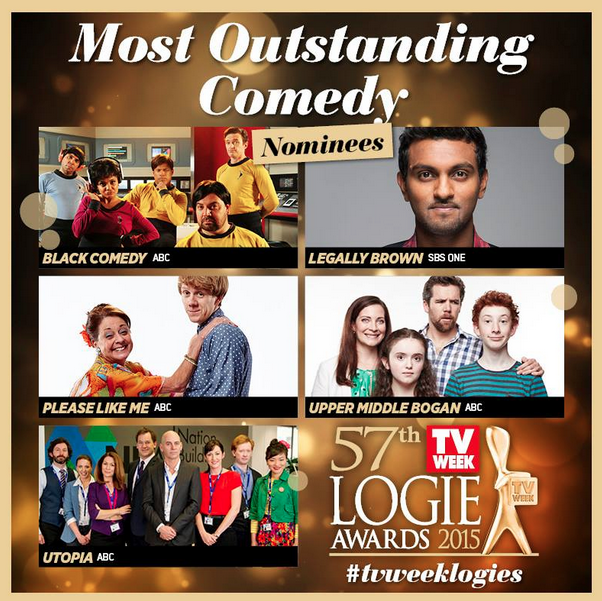 The Logie Awards are our annual celebratory highlight of the year, embracing the diversity of our local television industry. 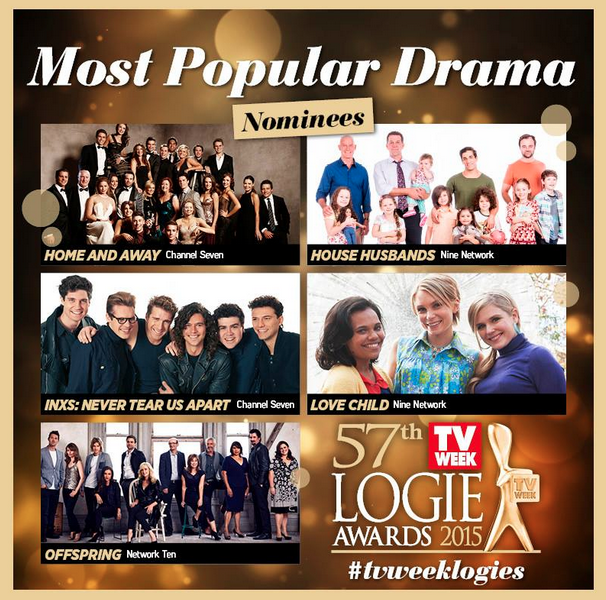 With a mixture of industry judged and fan voted categories, recognition is given to the cast and crew that captivate the nation on our small screen. 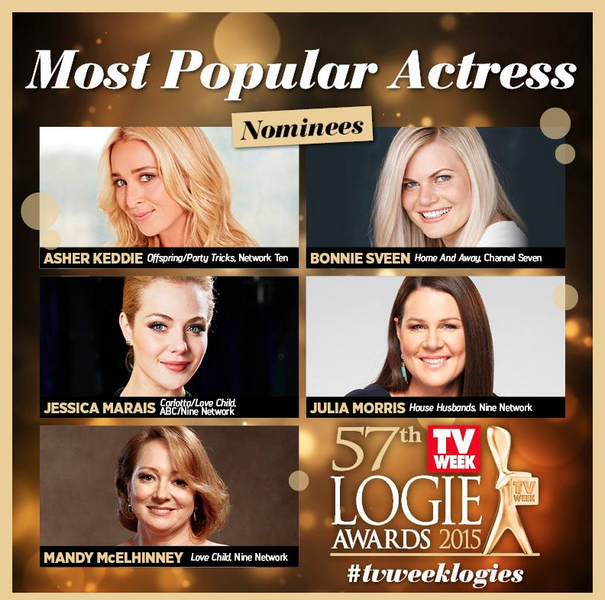 Offspring star Asher Keddie is nominated for the ultimate Gold Logie this year, after winning the top gong in 2013 for her stellar performance as Nina Proudman on the Channel 10 hit drama. 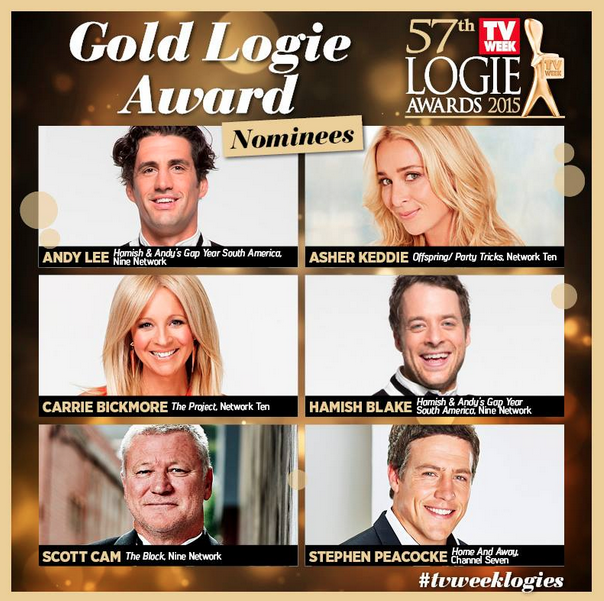 Joining her in the running for gold this year is also Steve Peacocke (we all love a River Boy), Hamish Blake, Andy Lee, , Carrie Bickmore and Scott Cam. Take a look at the full list of nominees below and then head over to our Facebook and Twitter pages to let us know who you think should win an award at Australian television’s night of nights.